You will find below the details for each body part of your dog. In reality, to have a beautiful dog, the important thing is that all those "parts" make for a harmonious ensemble. 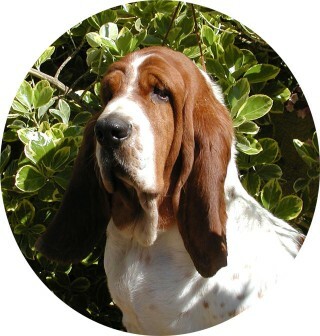 A champion dog can not be based solely on weight or height but rather on genetics, walk and above all personality. Know that the perfect dog doesn't exist... so even if your companion has a little fault appreciate him for his qualities and the love he gives you. 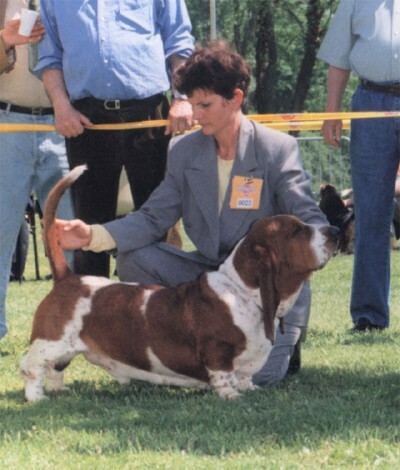 The Basset Hound possesses in marked degree those characteristics which equip it admirably to follow a trail over and through difficult terrain. It is a short-legged dog, heavier in bone, size considered, than any other breed of dog, and while its movement is deliberate, it is in no sense clumsy. In temperament it is mild, never sharp or timid. It is capable of great endurance in the field and is extreme in its devotion. Height of more than 15 inches at the highest point of the shoulder blade.